VA coaching or virtual assistant training can be very, very good – I’ve paid for some myself, I have been lucky enough to review a few others, and there are some extremely competent coaches out there who will shortcut your journey to running a successful VA business. I also believe that people’s time is worth money, and if they are teaching you how to make more money with your business, that has a value which you should pay for. I’m definitely not anti-coaching, nor am I anti-capitalist – everyone deserves to make a living. I occupy a fairly unique position in the VA industry – I make money from my VA business and SVA is run as a side project which (just about!) covers its costs via people donating time and money to help, buying the SVA products, buying our recommended reading via our Amazon link, accessing the SVA Premier content, and joining us in the Big Meet. I freely list any event or product which might be useful to UK VAs, and I’m happy to help anyone who is out to improve the industry. Therefore I can say the things which a lot of people won’t admit (see The 6 Figure VA). But there are coaches out there who are, quite frankly, charging for professional advice which is (at best) misguided, and (at worst) downright erroneous. 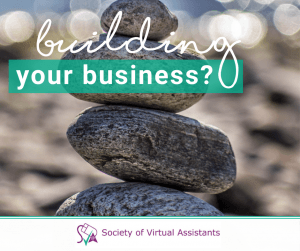 I am not naming any names here – but if you recognise your virtual assistant training in here, think again about marketing your services to SVA members, because they’ll be asking you some difficult questions after reading this article! It contains some essential insider info for those entering the industry – given freely and without strings. Question 1: Where is the virtual assistant training based? This may seem utterly unimportant because being a VA you’ll be used to working virtually, doing online webinar sessions and phone meetings. But if they are based outside of the UK, or if they have based their course on an American template system, you’ll get into trouble very quickly if you use their contract templates. Our legal system has significant differences in subcontracting which will affect both your client contracts and your own VA subcontractors. You could end up being classed as an employee or employer unless the terminology would stand up in a UK court of law, leaving you liable for National Insurance contributions and extra tax or declaring the whole contract null and void. Ask whether it was drafted by a UK lawyer or whether it was adapted from a US template. Ask them how much it cost – we’ve yet to find a lawyer who’ll charge less than £500 for doing this work from scratch. Question 2: How many hours do they think you need to work a week in order to replace a PA salary? You need some of that time to be in working hours because you’ll need to do things like go to the bank, the post office, and speak to clients working traditional hours. The 20 hours is my own experience of working with VAs over the years – for me to be able to subcontract work to them, they need a reasonable amount of availability as otherwise every time I ask them to do something, they won’t be able to meet a reasonable deadline. Even if you ignore the client side, you need to have time to develop your business plan, do research and market your business. VA Coaches who are merely flogging their course without any regard to helping people to create a proper business aren’t going to be upfront about the time commitment involved. They will say you can scrap childcare and replace a PA salary easily. Let’s shatter that myth: According to The UK VA Survey less than 10% of VAs have no childcare in place and only 35% of VAs earn over £20k, with the majority earning between £10-20k/year. That’s not to say it’s impossible to earn more money on less hours – but just that it’s unlikely according to the industry standard. Question 3: How long has this person been a virtual assistant? I make a good living from being a VA. If they are good at being a VA, they could make money too – which beggars the question: why are they doing virtual assistant training instead of earning money from their VA business? This is a biggie for me, and you’ll get loads of wide ranging fluffy answers. Drill down and get the real story. If they say they are currently a VA, go look at their website – is the blog up to date? Do they have an active twitter account? You’ll often find that those who aren’t active as a VA will have out of date social media or concentrate a large chunk of their marketing on selling their VA courses rather than snagging new clients. The VA industry moves fast – out of date knowledge will wreck your new business. Question 4: What’s included in the fee? Are there any hidden costs like travel, accommodation, books, software you need etc. Are they happy to give you a synopsis of what is included in the course? Equipment including back ups, phone lines and websites. Marketing including examples of at least 10 different proven strategies, how to identify a niche, planning and budgeting. Business set up – picking the right format, what you legally need to do in terms of notifying HMRC and bookkeeping, T&Cs/insurance/client and VA contracts. Don’t be fobbed off by them saying that you’ll get X number of webinars or Y telephone calls – you need to know exactly what you are buying. The other trick is for them to say that you’ll be getting thousands of pounds worth of materials in the course – check if anyone has actually ever paid full whack for them on the SVA forum – you’ll get some honest answers from the real VAs. Question 5: What qualifies them to be a VA Coach? Even the very best VA might not be a great teacher – they are different skill sets. Ask what teaching or coaching qualifications the VA Coach has. From my experience of being on the board of www.VACertified.com it made me realise that being a VA is not just about time served, the industry reputation you have or your skills, it’s about those things taken holistically to give an overall picture of you as a person. I know VAs who have great skills and are rubbish at making money. I know VAs who have been working as a VA since 1985 and have no idea how to run a proper business but somehow muddle along. I know VAs who have been on every course going and still can’t deliver a piece of work on time. Offering a course on being a VA should be about getting all those elements correct – and it’s a tough order to be able to find someone who understands all those concepts well enough to teach them. Do they recommend specialising in just one niche? I attended a freebie training webinar recently and I thought the host was doing rather well until she fudged this question. Again, it’s a loaded question designed to catch them out. Most marketing professionals will tell you that you should specialise in just one niche because it’s easier to market to just a small sector of business. This is very true, but it’s not what you should aim for overall in your VA business. Unlike other businesses we tend not to work on a contract basis so if someone wants to stop using us tomorrow, they can. If you specialise in just one industry and it suffers an overnight crash (e.g. property circa 2007/2008) you’ll be left without an income. VA industry best practice is to make sure you market to 2-3 different niches, ensuring that your risk is spread throughout different industries and that you have no more than 50% of your income coming from any one sector or client. This is a relatively new marketwide standard due to the recession, so if your VA coach hasn’t worked as a VA themselves recently, they may not even be aware of this but it’s about futureproofing your business. What would you recommend if you get asked to offer a service which you don’t offer? Again, a nasty little trickster of a question! The rogue coach will tell you to say to the client that you can do it and then subcontract it to another VA who does offer this service. A seasoned VA will actually have dealt with the reality of subcontracting and know that the correct answer to this dilemma is to recommend another VA who can help but to make sure the client knows it is them who is doing the work. The reason being: If you don’t offer the service, you won’t be able to check the work has been done properly or know if the rate charged is realistic or help if the subcontractor lets you down. It’s your name that gets dragged through the mud if this outsourced piece of work is not up to scratch. Therefore most VAs would not outsource a piece of work which they aren’t able to complete themselves. They can still make money on a referral fee from the VA they recommend, but they won’t be overseeing the work. Do you charge clients for matching me with them? If the VA trainer is charging the client a fee, they are effectively working as an employment agency. Employment agencies cannot charge people for being on their books – it’s illegal. So if they are charging you to get qualified and then charging the client too, do you really want to be taking business advice from them? Run fast, taking your money with you!! I have some other stinkers of questions, but if we put them all here, the coaches will just read up the correct answers! If you’d like them, please drop me a line on info@societyofvirtualassistants.co.uk – I’ll be delighted to help. Question 7: Do you need the whole course or is there an option to buy individual subjects or in group coaching or online training which may reduce the fee? Ask if there’s an online or group coaching option as it may well be cheaper. And if they have supporting books, it might be an idea to read them first to see if you like their style of teaching. You may only need a small section of the course – ask if you can buy it separately. Question 8: Can they give you testimonials which you can check? As much as I’m skeptical about testimonials (see Testimonials: have you ever seen a bad one?) the strength of the course has to be measured by the results that the participants get from it. The VA Coaches will be somewhat hampered by confidentiality, but you could always ask on the SVA Forum whether anyone else has done the course and if it helped them in their business. I’ll happily put my head above the parapet here – I offered training in the run up to my maternity leave to cover my absence – so I am one of those VA Coaches! I hope I’ve been useful to the people I coached – I was very upfront about what they could realistically achieve and what my background was. I did turn down a few people who would simply not have been able to run a proper VA business in their personal circumstances. What prompted me to write this blog was yet another course popping up claiming to specialise in VA marketing which was patently giving out incorrect advice. It intensely annoys me when people attempt to make a quick buck off VAs who don’t know any better – SVA was set up so that newbie VAs can avoid the potholes of starting up and make their own business a credit to the industry as a whole. If you are thinking about paying for VA training, please do ask these questions of your trainer. You’ll be shocked by how many coaches cannot answer them properly. Now I know I’m going to get a lot of flack for this article – but I’m confident that those VA Coaches and Trainers who are running an ethical business would be able to answer all these questions confidently. Do you think I’ve been unfair to the VA trainers? Should coaches specialising in VAs have been a VA first? Did you do a course which was worth every penny? What’s your opinion on the training and coaching industry? EDIT: In the latest UK VA Survey we asked people if they had done VA specific training and then looked at their turnover to create an average for that specific training course… If you want to know the courses who added value to the business compared to VAs who had not done any training CLICK HERE. Great article Caroline. Your sound advice should help those looking for training weed out some of the charlatans. Good for you. The problem is, how does a newbie know what questions to ask? If it has a great website and they seem very professional, you’d think that was enough. But there are so many out there who are taking money for giving out wrong advice, and that does annoy me! A very well-written article, Caroline, and one which covers one of my particular bugbears: why does this person presume to teach others about becoming a VA? What experience has she had which she thinks makes her an expert, able to pass whatever knowledge she has to others aspiring to become VAs? Getting answers to the questions you’ve raised will go a long way to sorting the wheat from the chaff and making sure potential VAs who decide to buy training will get good value and knowledge for their money. I don’t enter my culinary confections in the local village show for a similar sort of reason: I know my shortbread is the best, and so is my rich fruit cake, etc… What qualifies anyone to tell me any different? My you, the one time I did enter, said shortbread won first prize!!! There’s definitely things we can learn from one another (my little issues with numbers and geography for example!!) but I’m hard pushed to recommend courses a lot of the time because what they teach is fundamentally wrong, due to the course leaders not actually being VAs. This is also one of my big bugbears and something I’m often ranting about. I agree with most of what you say Caroline, and there’s definitely some sound advice here. I have a real issue with some ‘trainers’ in our industry. That being said, it’s not just the VA industry. The coaching and training industry, and any industry for that matter will always have a share of good ones and bad ones. One thing I would definitely say to any newbie, or even experienced VA is that you should never believe everything that everyone tells you without questioning whether it is sound advice, and you should get help, advice and training from many sources. I invest a lot of time in my business getting mentoring and training, reading books etc. from various business gurus, and in my honest opinion, if you want to get genuine support on running a business successfully, you should probably be looking further than just a VA trainer. You want a decent business coach. On the subject of niching, I think I actually disagree with this. If you ask any successful business expert, not just for VAs, they will tell you the way to get to the money is to niche. The tighter you define your target market, the more chance you have of being successful. I understand what you are saying, eg. with the property industry, but if you are genuinely good in business, then you should be able to predict change, move with the times and handle what arises. Just because you have a niche doesn’t mean you can’t take on clients that are not in that particular field, it’s just about marketing to a niche market rather than focusing your efforts on being a jack of all trades. I recently read Joe Calloway ‘Becoming a category of one’ – takes niching to a whole another level and I’d recommend it for both newbies and seasoned VAs. In terms what qualifies people to be an expert, actually, more to the point it’s whether you can actually say they are not? I am on the fence with this one. If you look at many leading successful people, they very often have self annointed titles! I know one business owner that branded his business ‘the fastest growing franchise in the UK’ – nobody gave him this badge, he didn’t win an award, but he did some research on google, saw the rate of growth of other UK franchises and decided his was the best. That’s how he justifies it, and actually as there is no defining stats on it, you an’t really argue against it. Nobody in this life is going to tell you that you are the best, its up to you to market yourself as the best as sadly we are yet to develop an expert-o-meter! Obviously I’m not saying everyone is worthy of calling themselves an expert, and I’m playing devils advocate here because as I said, this is actually something that annoys me alot! You certainly need to be able to back up your claims as an expert if challenged, and if you get found out not be then, then so be it, but I actually think everyone has the right to call themself whatever they like, and if they are not up to the job word will soon get around and they’ll show themselves up. I’m actually delivering a topic this week at OIVAC on niching and differentiating yourself (‘becoming an expert’) so this is a very timely blog post! It’s great to have some proper debate around important issues in our industry though Caroline, so well done for opening up a conversation that I hope will get blood pumping and people talking! On the niching – usually I’d recommend people market to niches, but have perhaps 2-3 specialities so they don’t end up high and dry. One figure which has been bandied about is not to have any more than 30% of your business from any one client and not to have more than 50% of your business as any one niche – that would be the ideal, but obviously something to work towards rather than firing clients to make the numbers work! Maybe we should develop the “expert-o-meter”??? I love this article, Caroline. I love the frankness and openness about it. As someone who is embarking on a new VA training course having resigned as being a licensee for another training company, it is very interesting to see how trainers are perceived. I have an outline of my business model and it’s good to see that some of that is contained within the positive elements of this article. I want to be a VA trainer because I love being help to people and I love the training delivery. I also see myself as more of a mentor. I like to share my experiences as a VA and advise people accordingly. I quite often get people contacting me to pick my brains and I’m always more than happy to help them. I do think a VA trainer needs to have the industry knowledge. I think it’s the personal experiences that you can share is what a lot of newbie VAs value the most. I am in no way an expert and would never profress to be. I just love doing what I do and if I can help others get a leg up, then this makes me happy. I have been reading about becoming a VA and as I am disabled I was hoping I could do this when I have my better days and when not well leave it until tomorrow is it possible to do this?? You could also look at working just on small projects via People Per Hour, Elance, Guru.com, Odesk outsourcing sites – although the rate of pay on most of these is pretty dire. SVA have an online download here. Look for SVA Premier. It’s not an alternative to childcare. You need to have some time during 9-5 Mon-Fri where you can make phonecalls, arrange meetings, know you have uninterrupted time to get stuff done and ask questions whilst doing it. I think a lot of the time these courses are sold to people on the basis that they can cancel their childcare and still earn a replacement PA salary… That’s not realistic, and you need to plan out the finances and your time very carefully in order to make it work, especially if you throw kids into the mix. I came across your article and I must thank you for your frankness. I’m currently trying to launch my VA business and I feel like I need some help. I do want to enroll in a course that gives clear direction on pricing/packaging, marketing, landing clients and necessary technology. But most of all I want genuine support and an accountability coach from the course i choose. I’ve come across many persons offering courses and I guess because of my paranoia and present tight budget I haven’t enrolled in any yet. I’m tired of people beating around the bush and seeking their own interests while pretending to be of help to others. Can you please direct me to a course/courses that would provide my aforementioned needs? We never recommend individual courses – but personally I’d look for someone who had been a VA for at least 5 years before offering any VA training – you would be VERY surprised by how few fit that criteria. Wonderful article Caroline. I had not realised that it was published so long ago! I can think of a few who would really benefit from reading this. Thanks Phillippa. Sadly, we have to keep on adding new scams to look out for into it… The good news is: since we published this article some 5 years ago, standards have in general really improved – but we saw a major slip in the past 18 months or so again, with a record number of complaints about VA trainers being made in 2017. The problem is, even basic hand-holding can lead people off in the wrong direction… We’ve seen business practices recommended by VA trainers which double running costs; ones which place their business at real financial risk; we’ve seen totally illegal practices being followed because the trainer has given them the wrong advice; coaches who haven’t run a successful VA business and tell people to use marketing methods which simply don’t work and have no basis in reality. It’s embarrassing as an industry that this goes on, but unfortunately it’s very much a case of the buyer having to know what questions to ask before buying. Hopefully this article helps with that!